Angel Osorio Accepted into The Westminster Schools! 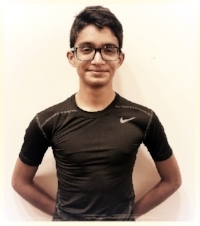 A+Squash's own Angel Osorio, is attending one of the Top Ranked High Schools in the Nation, The Westminster Schools and will tryout for the Westminster Squash Team! Angel joined A+ Squash in 2015, and has worked extremely hard on and off the court earning a spot at this prestigious school.